In the heart of the Axarquia region, Benamargosa is located, a village of Arab origin with a wide agricultural tradition. Its streets abound fountains, pillars, Roman arches and stairs, giving the village a picturesque appearance. From the fertile orchards of Benamargosa, thanks to its microclimate, are born the products with which dishes and subtropical surprises are prepared. Only here you can try the batycate, a smoothie made with avocado which is a real tonic. The Parish Church of the Incarnation is the main monument of Benamargosa. Located at the bottom of the village, it was built in the XVI century on an ancient Arab mosque. The temple has three naves and an adjoining tower. Inside you can admire a beautiful dressing room next to the Gospel and the image of Jesus of Nazareth, much venerated in the villa. The other most representative work of religious art of Benamargosa is the hermitage of San Sebastián. In this sanctuary is the Virgin of Purísima (Virgin of Immaculate), protagonist of a colourful procession that is celebrated each month in May. The cemetery chapel and the Puente de los Diez Ojos (Bridge of the Ten Eyes), linking the banks of the river Benamargosa are other interesting sites of this town in the region of Axarquia. As a testimony to its agricultural tradition, you can see Arc de la Huerta, which supplies water to many crops in the valley. 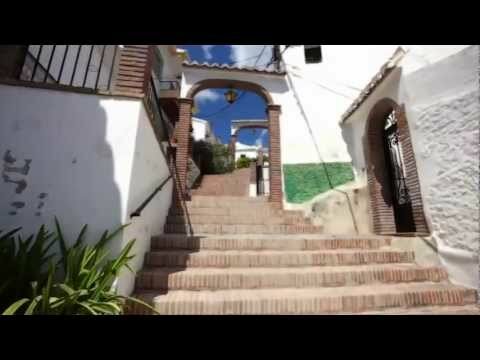 The town of Benamargosa is situated 46 kilometres from Málaga capital. To reach in car, one has to take the highway of Mediterráneo (A-7) which deviates to A-356 following the direction of Vélez-Málaga. Crossing this place, one has to take the deviation towards MA-3113 that reaches Benamargosa. The orchards of fruit trees and subtropical crops arranged in terraces along the river of the Cave dominate the rugged landscape of Benamargosa. To know about its natural environment, there is a path that starts at the confluence with the municipalities of Velez-Malaga and La Viñuela, at the height of Cerro Agudo. From this place, the Sierras de Tejeda and Almijara, tajos de Comares and more than a dozen villages in the region can be seen. One of the most important dates in the festive calendar is Benamargosa Fair, held in August. In the same month, the Cultural Week takes place, with a tight schedule of activities and an attractive flamenco festival. To enjoy the excellent produce from the garden of Benamargosa, the most auspicious moment is the Fiesta del Campo, organized in April. Declared by Provincial Tourist Singularity, it includes food tasting brightened up with the verdiales music (typical folklore of the province of Malaga). Other important dates are the festival of San Sebastian in January, Corpus Christi and the procession of the Virgin of the Purísima (Virgin of Immaculate) in May. Easter highlights of the procession, in absolute silence, of the Virgin of Sorrows and Jesus Nazareno on Good Friday. Benamargosa boasts exclusivity in the development of a smoothie as nutritious as the original: the batycate. It is a drink made with avocado, cinnamon, sugar and milk. In this town of the Axarquía you can also taste typical dishes of traditional cuisine, such as the Zoque (a starter of bread, garlic, pepper, vinegar, rall mixed together, and lemon) tomato soup (with bread and mint), the gazpachuelo (white fish soup and potato with egg and lemon smoothies) and ajoblanco (cold almond cream, garlic, oil and some fruit and muscat grapes). Not forgetting the delicious cakes of bread in the bakery section. The name Benamargosa first appeared in chronicles during the Arabic period. However, these lands were inhabited by humans from the Neolithic period onwards. Lithic, ceramic and bone remains located within the municipal area attest to this fact. In the 13th Century, the Muslim botanist Ibn Beithar began to introduce citrus crops into this area, and in the late 15th Century Benamargosa is identified with a farmstead belonging to the village of Comares. In April 1487, the troops of Ferdinand the Catholic laid siege to Vélez-Málaga . Following the Christian conquest of this locality, Comares surrendered, along with its district, comprising the farmsteads of Almáchar, El Borge, Cútar and Benamargosa. The Moriscos who remained in Benamargosa, in principle, did not take part in the subsequent uprising, but they eventually joined the revolt of 1569. For that reason, the next year they were expelled from their lands, which were temporarily uninhabited. In 1810, the mayor of this village, along with the mayors from other localities, was forced to swear an oath of loyalty to Joseph Napoleon I. The French army subdued the locals and seized weapons and food for their own supplies. However, the population did not accept these intruders and many of the locals joined or collaborated with the guerrilla resistance. One of them was the parish priest, known popularly as "Cura Pinto". From this period comes the legend of the "French Well". It is said that the soldiers who were guarding the river spent the night in local houses. Every morning, when they would meet, one of the members of the troop was missing, vanished without a trace. Apparently, the owners of a mill would throw them into the well. In the 19th Century, Benamargosa suffered a plague of phylloxera, but it was saved from the devastating effects of the earthquake of 1884. The Civil War took a heavy toll on the village and there were many deaths on the Republic and National sides. Religious images from the church and the parish archive were also burned.